Can you believe it’s already time to get ready for school? Fresh boxes of crayons, sharpened pencils, and thick stacks of notebook paper wait, tucked away in my kids’ backpacks. First-day outfits lie waiting for Monday morning. The next thing to think about is lunch boxes and water bottles. The containers where we store our food are almost as important as the food itself. Many containers and bottles on the market today carry chemicals, non-stick coatings, or additives that can leach into food. Last year I bought stainless steel water bottles for my kids and they loved them. Stainless steel is one of my favorites because nothing leaches into the water (like aluminum or plastic can) and it doesn’t contain a non-stick coating with dangerous chemicals like PFOA (PFOA -a chemical used to make Teflon, has been linked to cancer, birth defects and higher rates of thyroid disease). They’re also dishwasher safe. A few months ago I found these super cute reusable, glass water bottles that are surrounded by a web of silicon (100% non-toxic). They’re dishwasher safe and come in several colors. Recently, Mighty Nest asked me if I’d feature some of their products. As soon as I took a look at their site I said, “Yes!” Their site has dozens of items I’ve bought for years, but they’re all available in one place. 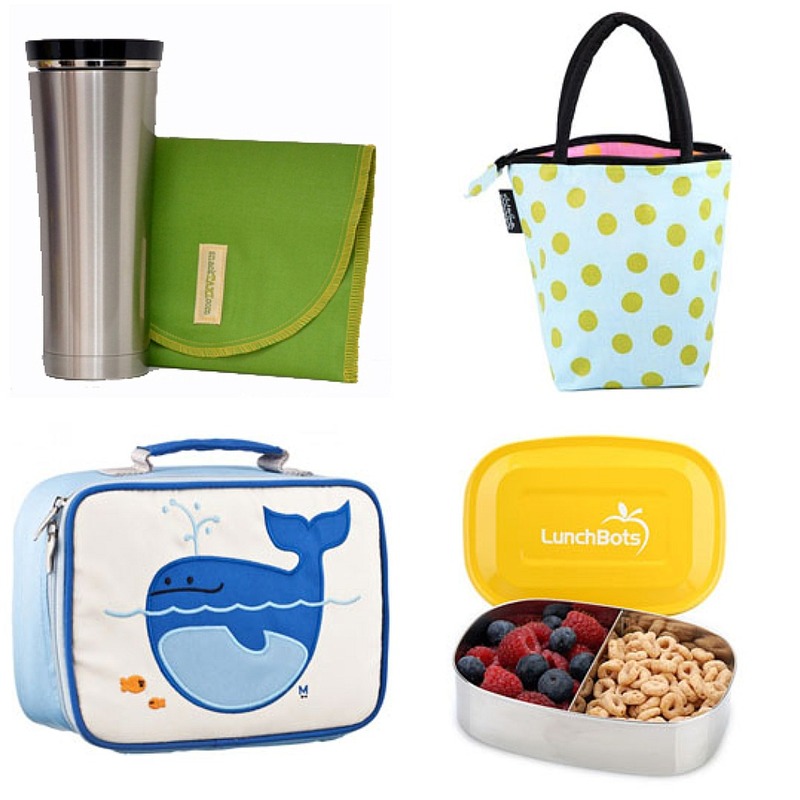 Everything from stainless steel lunch containers, to glass water bottles, to reusable bags – they’ve got everything you need to get your child ready for the lunch room. They also carry stainless steel bakeware (one of my personal favorites). The bakeware won’t react with food or rust, doesn’t have any type of coating that can wear off, and each piece comes with a 25-year warranty. Mighty Nest has kindly offered to give away some items to get you or your kids ready for a toxin-free lunch. They are giving away a stainless steel insulated thermos (great for soups or homemade hot cocoa), a glass/silicone water bottle, and a stainless steel lunchbot container. To enter, leave a comment below. Giveaway ends Sunday, August 21st at 11:59pm. Contest open to US states only. One name will be selected using random.org and be contacted. The winner has 3 days to respond before being disqualified and a new winner chosen. Good luck! All we need now is a healthy, organic treat to pack in that back-to-school lunch bag. How about some sweet crispy pecans? This recipe can be adapted using any nut you choose and makes a sweet and crunchy addition to any lunch (it also makes for a great snack). I prefer to soak nuts overnight to help release the phytic acid (we get tummy aches in our family from unsoaked nuts). I’m not a fan of roasting nuts because the high heat can destroy the good oils. Instead, I dehydrate nuts at a low temperature. It’s easy – you soak the nuts in salt water overnight, drain, and then dehydrate the next night in the oven or in a dehydrator. Make sure to pack them in a safe container, like glass or stainless steel. Place pecans and salt in a medium bowl. Cover with water and stir to dissolve salt. Sit on the counter overnight at room temperature. The next day preheat the oven to 170ºF, drain the nuts, pour into a bowl and toss with maple syrup. 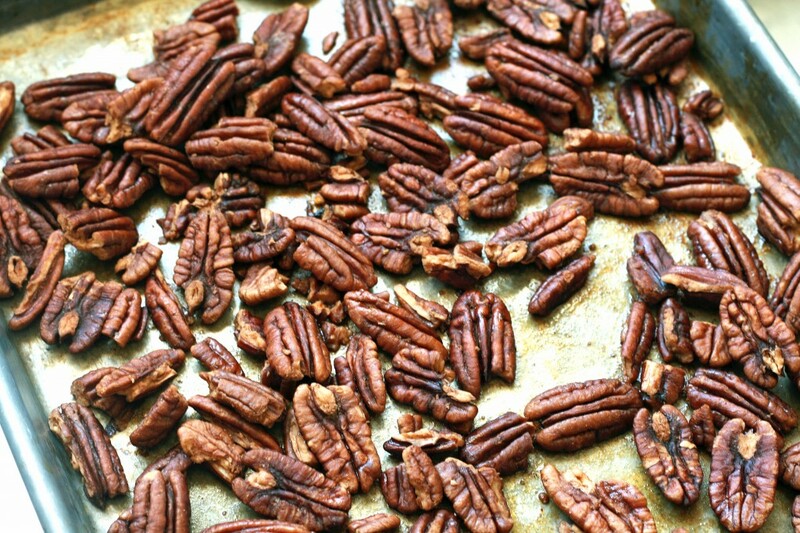 Spread pecans on a baking sheet lined with parchment paper. Bake the nuts overnight, about 8-10 hours, or until crispy. These would be great for all the football games that are about to start! I am always searching for a great thermos. My kids prefer a hot lunch and a thermos comes in handy, even on those not so cold days! Great post, Carrie. Also, love the water bottles! These look yummy!!! Just added pecans the grocery list. Can't wait to try. Figuring out healthy lunch ideas that my three boys will eat is the bain of my existence!! Thank you for getting me started on my campaign to search for the best and most innovative healthy recipes. I love flavoring nuts!!! We snack on them all the time and they are a big hit with my kids! Always awesome to find websites where my favorites (and new great things) are all together! Makes life so much simpler. I love my Lifefactory bottle as well and was debating getting the smaller one for my daughter to take to school. and my kids love nuts - so great recipe. Thanks. These items look awesome. Heading over to the site now to dosome browsing. I recently purchased stainless thermoses for the whole family but have been looking for some stainless snack containers. This is some seriously great back to school gear. And I love the protein filled snack like this... especially with some good seasonings! I just made a batch of cinnamon pecan butter...I think it would be even better starting with Sweet Crispy Pecans! Looks good. I want to try this recipe with cashews! Oh, I love the combination of maple syrup and pecans and I'll have to try your roasting method! Oh I would love to win this, it would be great for my daughter's lunches. Can't wait to check out all of the products! The nuts sound great! Going to make a batch tonight! Great giveaway! Mighty Nest has awesome stuff! What cute lunch accessories! Love it! :-) P.S. Your pecans look amazingly sweet and salty. Those pecans sound fantastic - must make to pack for my husband's next football referee outing. Would love the glass/silicone water bottle - too cute (as is everything else. Thanks for the great opportunity! You know, growing up I never liked Pecans (well, I didn't like a lot of food growing up) but I've noticed that as I get older, my tastes really *do* change. It's been years since I've eaten a pecan, maybe I should give it a try! I might be surprised and actually enjoy them. Thanks for the info on the cookware, I am always on the search for things that better the health of my family. Going to make the pecans tonight also, looks like a great snack for my grandbabies. Those look great! Can't wait to try them! Those beautiful pecans have me weak in my KNEES, woman. I'm not much of a pecan fan, but I'll definitely do this with other nuts!Also... I'd adore winning this giveaway! Those containers and all of their products look fantastic! What a treat these would be! I have a similar recipe that lets you make them in a slow cooker ~ I have yet to try them!Also, I came across your blog on Facebook ~ brought me to a gluten free recipe of yours! Thank you for providing amazing recipes that are gluten free in addition to other organically wonderful recipes! Mmm! I love pecans like that! Yeah, my family and I have just started to eliminate plastic for storing and reheating foods, so those containers look great! I'll have to try these--and add some cayenne or something to spice it up. yum! Would love to win the giveaway! Even though I don't have kids yet, I would definitely use all of these items to pack my lunch for work. Thanks! Slowly but surely making the switch to glass and stainless steel. It's so expensive, every little bit helps. Yes, please! Thanks for the chance to win these coooool products! thanks again for a wonderful recipe! They look yummy and can't wait to make these. i am always on the lookout for durable food containers, and i love the thermos! reminds me of the one my mom used to send to school with me. Thanks for sharing that site with us. I'm always on the lookout for BPA-free items and it looks like they might just fit the bill. Thanks! These are a great find! Thanks for offering this giveaway! I'm always on the lookout for affordable non-plastic containers but glass always seemed to heavy for me to use regularly (not to mention my fear of breaking them). These steal ones look great! I love that you incorporated soaking the nuts. And that website looks awesome! Thanks for sharing! What an awesome giveaway! They look great, I would love to try out their products!! They look great. I am enjoying your website and trying new recipes! Thanks! I cannot wait to whip up a batch of Sweet Crispy Pecans for a camping snack this weekend--a perfectly sweet and filling snack! Thank you also for sharing the treat that is Mighty Nest, their products are fabulous! Mmmm...love pecans! Thanks for the giveaway opportunity! Love the stainless steel bake ware! Will be ordering and replacing all my old stuff. I love those Mighty Nest products! Although I dont have kids yet, I'm a senior in college and have experience packing my own lunches. It's hard to find quality containers that are reusable and keep my food/drink fresh! I do love glass water bottles. The pecans look yummy too! I would love to win cool products. Heading to their website now to check them out. Those pecans look mighty good! I had not heard of that site before... I adore it! What a neat giveaway! My husband and both pack a lunch everyday, it would be great to have more reusable options! Mighty Nest's product line up looks interesting - I'm especially into the water bottles with the silicon mesh around them. What a great idea. I have been using glass mason jars to transport my drinks but recently dropped one on a playground at it shattered into a zillion pieces. yikes!! Awesome giveaway! Going to check out that site now! This site is FANTASTIC. Thank you for shedding the light on it. I just love it all. Excited to check out Mighty Nest and their products...and this recipe! wow- all of that looks so neat and very handy!! Going to go check out the rest of their items! GREAT giveaway! i'm all about healthy containers that come in bright colors! Wow! I love, love these products. I am always looking for items to use for packing my kids lunches. These would fit the bill, for sure! Those products are so fun and really handy for back-to-school. I also adore this simple and sweet recipe! Wow! I have been looking for a website like the Mighty Nest! I am excited to try the pecans too! I would love these products...great way to start off a new school year!!! I've never used any of these stainless steel products. These look great! I'm checking out their site now! I can't wait to check out Mighty Nest! Would love to have the products featured in your giveaway. Those look yummy! We just switched to real maple syrup. Thanks for the recipe! What great containers for back-to-school (can't believe it's already here!). Love this simple toasted pecan snack, and your tip for soaking the nuts overnight before roasting. these look so great for a snack or in a salad! Would love to get a soup thermos since my daughter is not a fan of PB & J! I remember my grandmother making something similar years ago but with walnuts. It smells amazing when they're roasting! Thank you for sharing the Mighty Nest information. I have purged our kitchen of the standard (less healthy) lunch accessories and desperately need to replenish with better ones. You are always keeping me thinking and on my toes. Generally I use my Longaberger Pottery for storing at home...but on the go I use my Rubbermaid containers. I never thought about it being harmful to pack lunches in those. Thanks for opening my eyes and for the terrific giveaway! As a newbee to your blog...I may have missed your suggestions for packing lunches. Is it okay to wrap sandwiches in waxed paper? Do you use stainless for salads and such? And what about snacks...no zip baggies I'm guessing? My husband packs a lunch every day, and I've just begun packing my lunch. We would LOVE some sturdy, and safe products!! So far I'm packing in plastic and my re-usable Trader Joe's bag. Haha. We'll get it together, but I don't mind waiting for a full first check either. What a great giveaway and at the perfect back-to-school timing! I love how easy and healthful this recipe is. Yum! Pecans look great! I am going to check out that website now! Great items! Yummy pecans & fun stuff...yay!! Love your site! I'm still learning about all the important nutrition in foods (i.e. more than just calories, fat, sugar, and protein), so your tip about dehydrating the pecans, rather than baking them, to preserve good oils, was really interesting. Thanks for all your terrific recipes! Cool stuff! I'm excited by those water bottles, that's for sure. What great items to get your family (or your husband, in my case) ready for a day away at school (or work)! Thank you for showing me all these great, non-toxic containers! I have never seen the glass water bottle before! All of their stuff looks amazing. I've been trying to switch over to safer cookware, etc. I'd love to win these great items. Thanks for the giveaway! Came over here from Heavenly Homemaker's blog - I love stainless steel bakeware and the lunch items are really cool! Looking forward to trying out some of your recipes - especially the pecans! Thanks for the chance to win. I only have 4 more pieces of aluminum bakeware to get rid of before we are aluminum free! Hooray! would love to get some great waterbottles like that!! Cool stuff! Havent seen this site before. Going to get myself some staineless steel bakeware. Mmm... pecans are my fave nut! Will have to try that recipe. The containers sound perfect for school lunches- especially the thermos for yummy soups. Yum! Thanks for the great snack idea. The items from Mighty Nest look awesome as well. I would love a glass water bottle. I didn't even know they existed but often wondered if they did!! YAY!!!! Love all of it!!! I would love to win... pick me! so much more convenient to order from one location! thanks for sharing! Thanks for featuring what looks to be like a great company! We are in the process of changing our kitchen over to stainless steel and glass - no plastic or teflon. Thanks for all of the great ideas! Thanks for the giveaway! I am trying to transition to safer containers/ bakeware. I will be making those pecan soon, they look yummy! 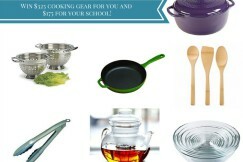 Any of these items would be a great addition to our kitchen, thanks for the website. I'll be browsing there later:) The pecans look great too! Thank you! I'm looking for a new lunchbox/containers for my daughter. Love the stainless steel thermos. Oh My! I love to pecan recipe! My nut-loving father-in-law is coming into town today so I may just have to try these! I would also love to win the prize package. Looks like fantastic stuff that I have been wanting to move my family towards. Just what I have been looking for for my kindergartener. What a wonderful giveaway...We love one stop shopping too. We're having a giveaway too on our site, today's the last day. Thanks for the great info and yummy recipe. Have a great day! Oooh! Stainless Steel baking sheets and cake pans. Would love to replace my old decrepit ones. Really like the dehydration method to roast nuts. Will have to give that a try, too. Thanks for sharing! There are SO many different products and SO many different products out there. It would be great to be able to try these out!! We always have a water bottle in our hands everywhere we go, only recently have I realized the need for safe and healthly containers, thanks for the info and a chance to win some badly needed items. Always on the lookout for great lunch options for me...snacks and totes. Will be checking out Mighty Nest very soon! I would love to win. I switched to stainless water bottles and really like it as well. This sounds like a great prize to win. We could definitely use any of these things. We decided our three boys would all be taking their lunch this year and could always use some more safe containers to pack everything up in. I just found your site!!!! Yeah! I'd love some more stainless items for my lunches that I diligently make myself and hubs carry to work every day. I'd love to get rid of the Tupperware! Also think I'm going to make a batch of those pecans! Yummy! Oh how I love containers! yum! and this site looks awesome. Pecans are by far my favorite nut!! This looks so yummmy! Great giveaway. Hope I win. But in the meantime, I think I will check out the Mighty Nest website. Oh what a great give away! Thanks for the chance! Would love the glass bottle - tried another stainless steel and didn't like the taste. I would actually like this prize for my lunches, but if the kids saw it i would loose. Just discovered your blog from your guest post on HeavenlyHomemakers! So far, I am really enjoying what I have seen. Thanks for the opportunity to win this great prize. I hadn't thought about my food containers before, especially my bakeware! Thank you so much for the tips! The pecans sound amazing! Will have to check out mighty nest, can't wait! I've just discovered your site from your guest post at HeavenlyHomakers. I am looking forward to spending some time here. I began transitioning to organic last year and have made much progress. Getting rid of plastic and my nonstick cookware seems to be the next step for me. I am always looking for better ways to pack lunches for my husband and son. Also I take water with me almost every time I walk out the door. Thanks for sharing this information. I just found your blog today thanks to Heaveny Homemakers...what a great giveaway!! Off to do more reading...Thank you! We've just started making changes in both diet and going BPA free. These products look amazing and the pecans, can't wait to try! These sound wonderful! I will have to give them a try. My family loves pecans!! 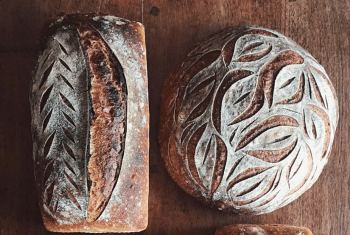 Over the past two years, I have made drastic changes in my kitchen...it all started with milling my own wheat and making bread. This has also changed the way I cook and store my food! I use glass and bake with stainless steel. I also just recently purchased a clay rice cooker. No more "non-stick" for me!! Thanks for the chance to win!! I am loving these school lunch products! Thank you for the great tip about soaking the nuts! I've been wanting to make up some trailmixes and such for school snacks, and these look great. What a great giveaway! I'd love to try some things, especially stainless steel bakeware. This would be great for my son who is starting Kindergarten. I am slowly trying to replace all the plastic and nonstick in my kitchen. My kids need to bring water bottles to school each day, so this would be great! Making lunches is one of the easiest and hardest things that I do as a mom! The Mighty Nest site looks fabulous! I might have to spend some of my birthday money there - I've been wanting stainless steel bakeware! Those look great, I'm always happy to try new nut recipes! 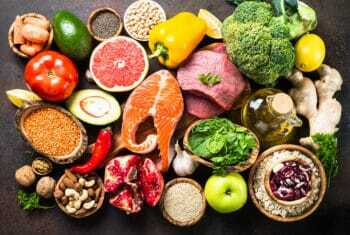 Looking forward to reading your blog and learning some new information on healthy eating! I just found your blog. Love your content. I'll be browsing around this morning. Would love to win a giveaway, too. Just found this blog thanks to your article on Heavenly Homemakers. Can't wait to look through your articles! I love stainless cookware and water bottles, too! I'd love to be able to send my husband to work toxin free :-) I'm slowly but surely making the transition to plastic-free, but it can be costly. My husband loves taking nuts to snack on to work. These pecans sound yummy. Thanks! Great product and great recipe! I've been looking for a recipe for naturally sweetened nuts, yum. Id love these for my kids! I just discovered your blog today thanks to your post on Heavenly Homemakers. I look forward to following your blog and trying out some of your recipes. Also, thanks for the chance to win! What adorable items! I would love to win, please enter me! 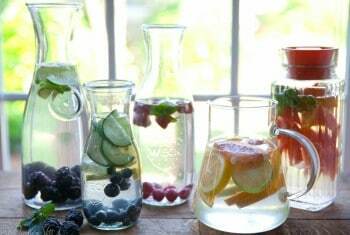 Would love one of those glass water bottles. Love the covers! Hi, stopping by from Heavenly Homemaker. Loved your post and can't wait to check out the rest of your site!! And love the giveaway, I am switching to stainless steel as I can. Would love to try water bottle, and the pecans will make a great lunchbox addition! Thank you! Oh Thank You to Mighty Nest for the Giveaway!! Our family has nearly eliminated all the nasty plastic in our lives. But school lunches are tough! The stainless steel thermos would be one of the things we need! My kiddo actually requests my healthier lunches as he thinks school lunches are "gross!" :-) And because of some food allergies, it's much safer as well. Yay for giveaways! How fabulous to have all those products available at one site! Yay!! I just came across your blog on the Heavenly Homemakers blog....I love Laura and trust all of her wisdom.....so I checked out yours just in time for a wonderful give away. I will be subscribing to your blog. Thanks! What a great giveaway! We are trying to convert over to these type of containers and bakeware. Thanks! I am in the market for new lunch boxes and accessories for my boys this fall. I would love to win! Please enter me in the giveaway! I've been eyeing some of these items for awhile, but I can only afford to change so many things at a time. Thanks! I just found your site through Heavenly Homemakers - I love it! Thanks for all of your great info. I'd love to win this giveaway. I've been trying to find good lunch solutions for my 5 yo daughter. These look like great products. Thanks for the chance to win! I also found your site through Heavenly Homemakers. This would be great for my new little one starting preschool! I would love some new stainless steal water bottles for my kids, or something for me! I've been slowly replacing our food storage containers, including the things I use to pack my lunch. This giveaway would really round out my options! Thanks! Thank you for the giveaway opportunity! I had this glass bottle and loved it. My water tasted best when in glass. I dropped it a few too many times and it broke. I'd love to win a replacement! Carrie, thanks for sharing the website. I have just started moving away from plastic for lunch containers. This will be a great resource. Love your site! Found you through Heavenly Homemakers!! Thank you for such a wonderful giveaway. I'd love to have items like these for my son who is starting kindergarten this year! I'd love the opportunity to try these products. Thanks for the chance to win! Thanks for the giveaway- i'd love to win any of those products!! What a great website. Thanks for sharing all the great info. I will definitely try the pecans. I already checked my oven to see if it will bake at 170 degrees and yes it does. HOORAY! I've always wanted to try crispy nuts but thought I needed a dehydrator to make them. Thanks so much for the recipe and hope I win this wonderful package. Wow! All of this looks great! Thanks for the giveaway. I'm slowly converting to stainless steel and glass, but it is quite the process. This would really help! I'd love to win one of these! Thanks so much! 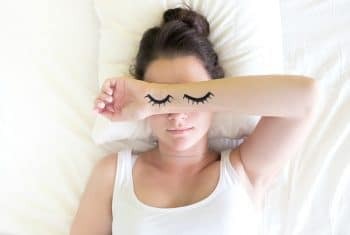 LOVE it when bloggers promote soaking nuts! Thank you...and I love the sweet treatment of the Pecans (I also like to add cinnamon to my maple syrup). We are homeschoolers but hubby would enjoy hot bone broth in one of those stainless beauties during his work day! These are great. I need to add additional items as my daughter always takes her lunch to school. I love the stainlees steel products. Looks great! Would love to win this! Great givaway! Great website too! Thanks. We LOVE the glass water bottles. I'd like to try some of their other products too! Oh man, I just looked at those water bottles at the healthfood store. They are wonderful! What a great giveaway. My daughter is about to start preschool and any of the items would be great for her lunchbox. Thanks! I would love to have one of the silicone/glass water bottles for everyone in the family! I've slowly been converting my kitchen from plastic to glass and stainless steel. These would be a great addition! What a great giveaway! These products are amazing! Those water bottles look AWESOME! I'm so excited about this site! I think I will be a new addict! Uh oh!!! THANKS! One more thing I need to get addicted to! ;) I was just starting on the hunt for good stainless steel boxes for the kido's lunches! My daughter is going into kindergarten and I'm trying to figure out how/what to pack her lunches. I'm going to check this site out. Thank you!! What a great giveaway! I've been switching out my plastic containers and using glass now. All the products you featured above look great! I'm definitely going to check out that website. Thanks! How fun! I'd love to try out these products! Great giveaway I would love to have any of these items. I love finding ways to avoid using plastic containers. The pecans look delicious as well. I always enjoy your blog! Just found your website, can't wait to try these out! I would love to win this for my sons lunches. My husband may borrow the thermos every now and then. Wow! Just came across your site today! Thanks for the chance to win and I look forward to checking your site often now. These would definitely come in handy. So excited to start reading your blog! Thanks for sharing what you have learned! Not just for kids' lunches at school -- my husband and I pack our lunches every day for work so these would be great for that , too! Those water bottles are adorable! Thanks! Wow! These look fantastic!! I would put these to great use! I love your suggestions for useful stuff, Carrie!! And how amazingly popular your blog has become. I had to scroll for ages to be able to leave this comment:-) Fantastic! Will certainly try the pecans.. I would love to win this giveaway. Our grandson starts kindergarten this fall and this would be great for him. I am trying to get my family to eat more healthy. Thanks for the giveaway. I would love this! I try to pack my lunch for work every day to save money and to eat better in general. Thanks for the giveaway! Awesome stuff! I love this kind of thing...I'm always on the lookout for neat new items to use in the kids' lunches. Those nuts sound great! and I could use more safe kitchen gadgets. 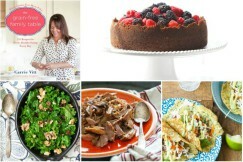 I would love to try Stainless Steel bakeware!Thanks for all the fun contests!! Love the stainless lunch box! I'm new to your site and I'm enjoying learning about cooking organic. Would love to try some of these new water bottles. Oh, those lunch box accessories would be amazing! I would love the glass water bottles!! This would be so great! Thanks!!! I love the glass water bottles, ss bakeware, and the ss thermos. Thanx so much for the opportunity to learn about a new website.... and the possibility of winning also. Looking forward to cooking organic recipes. thanks to Heavenly Homemakers for letting me find you!! Everything is so cute looking! We are trying to switch all of our plastics to BPA free and it is expensive! Plus packing 5 lunches a day can be tough, so any containers that would help with that would be great. Just found your website, came over from Heavenly Homemakers. Great site, I'll have to subscribe. Forget the kiddos, I am a teacher and would love to win this giveaway (not to mention my birthday is the 20th)! I've actually never tried soaking my nuts like that, but I'm really curious to try and see if we feel a difference. The maple syrup sounds delicious. Great giveaway too! I love so many things you posted, like the glass bottles, the little snack containers and the reusable snack bags. I've been thinking about trying the silicone bottles. They look great! I'd love to win. Thanks! I love the glass water bottles. Have thought about changing to reusable baggies, but haven't gotten the ump to do it yet. Thanks for the great ideas. These are great products and we would love them! I'm always worried about choosing the best material for my cookware, reusable bottles, etc. These options all sound good! These are all great!!!! And it doesn't hurt that they are nice looking too. What a great giveaway, perfect for back to school or Hubby's lunch too. Wow! So many wonderful things I have been wanting to try! I haven't even seen the stainless baking pans before! Love it......I have already gone to their website and purchased a few things!! Would love to get some freebies! Just found your site thru Heavenly Homemakers, and I'm loving it. School is around the corner and I would love to win at least one of your products. The stainless baking ware is something I always wanted!! I struggle with getting my kids to eat more nuts. Will definitely give this recipe a try. Thanks! Oh! I would love to be able to have these things. We homeschool but it would be nice to use for my husbands lunches! I am so excited! Stainless steel pans is on my wishlist! Will try Pecan recipe this weekend - yum! Neat giveaway!! I am on my way to the kitchen to try the roasted pecans right now. Yum! Great timing - love pecans and i need to get some fresh lunch/drink containers. Thanks! I just recently found your site, and I love it! These items would be a great addition to our go-abouts! I am glad to see some great options, stainless steel!!!!! Just found you website and love it. I teach school on a USAFB overseas, so was excited to read about your background. I will be recommending your site to several friends! I am loving your cookbook and website! 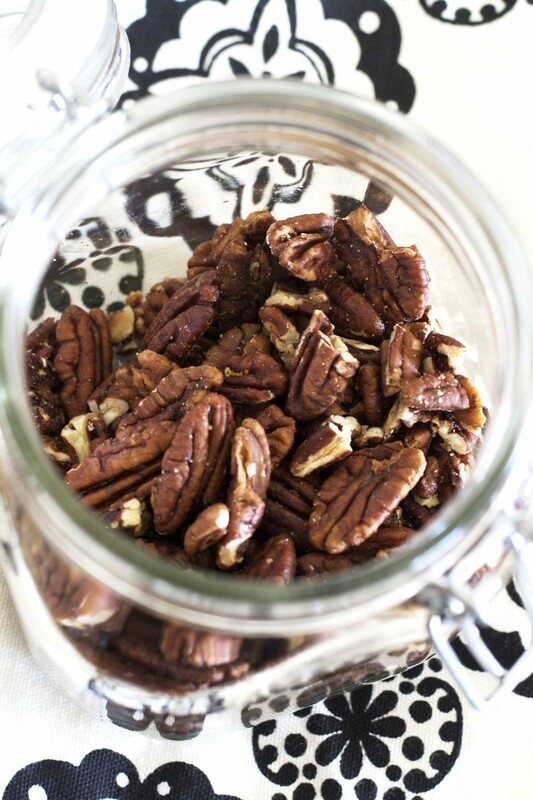 The pecan recipe is perfect for the local pecans we stock up with every fall! Thanks for all you do! My favorite thing for lunches is Re-Usies bags...no more ziploc baggies! I drain them in the morning, spread them out on a baking sheet, and leave them there until it's time to dehydrate in the oven. If you happen to soak them for 24 hours, it's totally fine. Just drain, spread out on a baking sheet, and put them in the oven. I've been looking at good quality thermos for my daughter and husbands lunches for quite some time, but have been hesitant to buy due to the price. Thanks for sharing! I've had one of the Mighty Nest glass bottles that I use when I travel for almost a year now and LOVE IT! It keeps the water cold for a surprisingly long time, and I can run it through the dishwasher when I get home. The outer lining also makes it shatter proof, which is ideal for a klutz like me. Several flight attendants on my trips have commented on what a great bottle it as well! Good to hear your feedback! mmmmm...soaked crispy pecans! wonderful giveaway! Yummy pecans and great giveaway! These look so fun. What a great idea. I love your website and I love this giveaway! Thanks for the Mighty Nest link! We started school last week, and I've been trying to find some good looking containers that I can feel good about storing lunches in for my kids. Are the glass waterbottles safe for school since they are wrapped in silicone? Would love to check out these produts. We are just starting to make healthy changes here, and sometimes I don't know which direction to go next. School lunches seems a logical next step. Thanks! Oh, and the nuts look great!! What cool prizes! Thanks for hosting a great giveaway... I remember all too well, things in lunches that can impart an off flavor-particularly my Holly Hobby Thermos that seemed to take on the flavor of everything, and left behind a plasticy taste-YUCK! But these look SUPER COOL! Can't wait to try this recipe! And sure would love to win this giveaway! Always looking to find eco friendly products to add into our daily lives. The Mighty Nest is a great find. Thanks for sharing, Carrie! I love them , awesome gifts !!!! what great prizes! We would put them to good use. These pecans look so tasty! Just found you on fb, looking forward to following you! That whale is the cutest! All good ideas! Yum! I can't wait to try it out! Oh my yum! I love Pecans and I love Mighty Nest. Thanks for the giveaway!!! PECANS!!! ...i LOVE pecans. And I love mighty nest, but it has yet to fit into my budget...ps - nice blog:):):) Mighty Nest posted a link to it on Facebook, always like finding fun crunchy food blogs! Great product and site! My family would use these frequently. I love the Mighty Nest! Great giveaway! Thanks for the chance to win such great products. LOVE all of these products...trying to get rid of plastics and go with stainless steel and glass. I love visiting Mighty Nest's website they have so many amazing products. These look great! The pecans, too! I am ALL about products which keep our kiddos safe! Thanks to Mighty Nest for offering so many products in one great place! My mom makes candied pecans and I can just eat them by the handfuls. Yours look fantastic! Love, love it! I would love to try all the goodies! Ooh! Ooh! Pick me! I've been coveting the Lunchbots for months! And that glass water bottle looks awesome! I have made these with just salt and love them, but the maple syrup! I am so excited, going to soak my pecans now, this will be the perfect snack for our weekend camping trip. Thanks for sharing! LOVE YOUR BLOG!!! I think that these would be great in my apple and lettuce salad. :) Thank you for the sweet recipe! These items look wonderful! Thanks for the giveaway! It would be such a treat for my son to show off his new water bottle. Pecans are one of the few nuts that my son will eat. I can't wait to surprise him with this recipe! Thanks!! Can you do these in a dehydrator? My oven does not go down to 170. A dehydrator is a great option! Two of my favorite things! I love your recipes, this one included!! And I love Mightnest! They are a great company that thoroughly researches each product they sell. Could you use stevia or xylitol instead of the maple syrup? 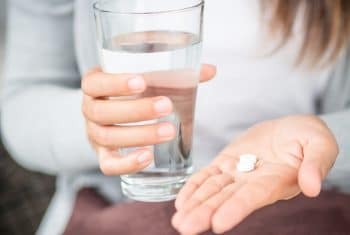 Liquid Stevia would be a good option. My oven only goes as low as 200, what would my cooking time be then?